Product prices and availability are accurate as of 2019-04-23 08:38:13 UTC and are subject to change. Any price and availability information displayed on http://www.amazon.com/ at the time of purchase will apply to the purchase of this product. 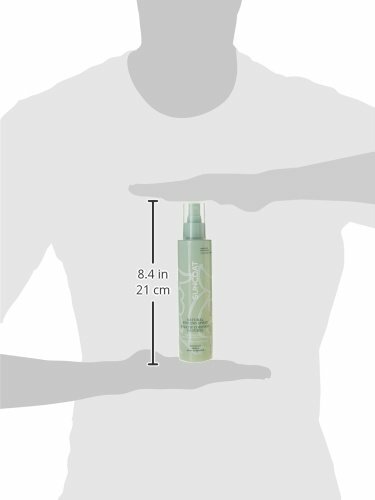 Suncoat Sugar-based Natural Styling Spray Medium Hold (210 mL)Suncoat Sugar-based Natural Styling Spray Medium Hold is a superior alternative for your hair and our environment. This natural hair spray uses natural multi-sugar (polysaccharides) for styling, not chemical plastics such as PVP, PVA, acrylic copolymers, polyacrylamide etc. Natural sugar bipolymers provide all day hold and add body to your hair. Enriched with flax protein and vitamin E to protect hair from environmental damage such as external pollutants and allergens and provide lustre. Suncoat Sugar-based Natural Styling Spray Medium Hold is free of alcohol, chemical polymers, and parabens. Suncoat Sugar-based Natural Styling Spray Medium Hold provides antioxidants protection of your hair and scalp. Suncoat Sugar-based Natural Styling Spray Medium Hold is scented with natural essential oils. Suncoat Sugar-based Natural Styling Spray Medium Hold is packaged in a regular spray bottle, not in an aerosol container.Suncoat expanded their repertoire from natural color cosmetics to hair care with the launch of a sugar-based natural hair styling spray in 2005, and the addition of sugar-based natural hair styling gel, hair styling mousse and a new hair styling spray in 2008. These hair styling products are formulated based on the innovative sugar-based technology Suncoat has created. They provide volume, long lasting hold and add shine without using any chemicals. They are also alcohol-free which prevents hair from drying out. Suitable for all hair types, can be applied to dry or damp hair. Suncoat hair products are sugar-based and Vegan.Sugar Based TechnologyFor any hair styling products, the most important ingredient is the HOLDING AGENT. They form a layer of clear invisible film to hold the hair in place.